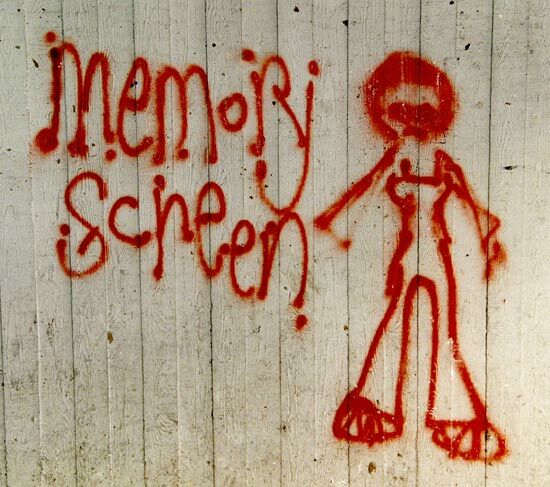 Memory Screen, made 2002-4, appears in several forms. A version was exhibited, and a variant performed, at the Bury Text Festival in 2005. Marginalien, Five Seasons 2005, includes a text-only version as well as the complete text-graphic on CD-ROM. The images shown here are selected from its 208 pages.